I recently moved to London, and whilst there are many things I love about this city, there are also a few downsides. One main one being money; everything is just so EXPENSIVE! I knew before moving here that my weekly budget would have to increase by quite a bit, but it’s still a shock to the system whenever I check my bank account. However, rather than whine on my blog about how much money London costs, I though I would give you some tips on how to save money. Because if there is one thing this city is teaching me, it’s how to save money in all areas of my life. Today I’m going to be talking about food, but I’m also planning a post on transport and entertainment, and anything else that you guys would find useful (so let me know!). Before I start I also want to say that while these tips are based on London-living, they apply to pretty much anywhere; so if you’re looking to save some cash, keep reading. 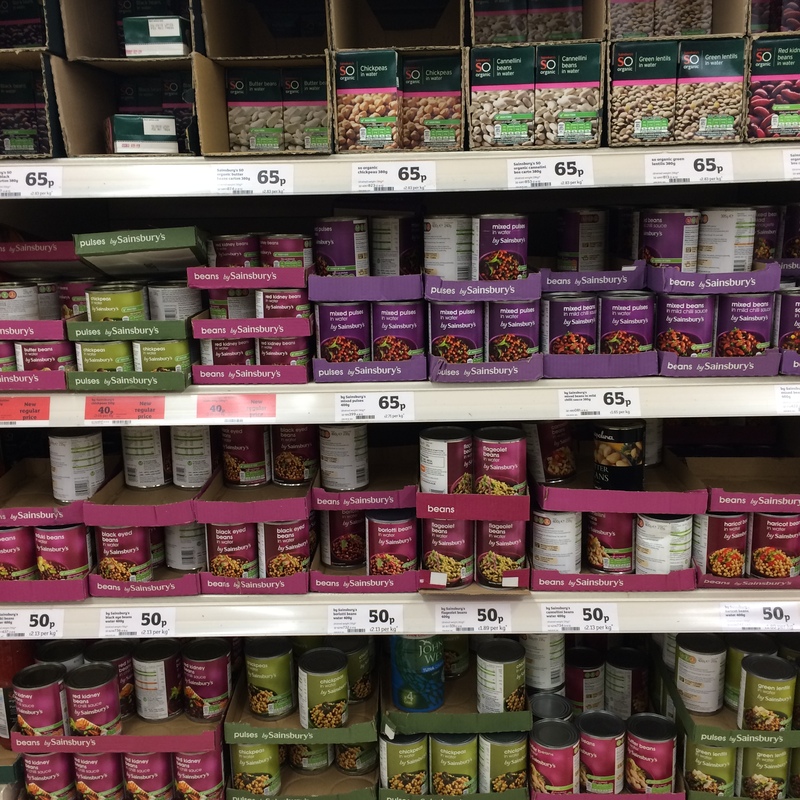 If you haven’t discovered discount supermarkets yet, you need to find your nearest one ASAP. Yes, they’re often small and crowded and hectic and just very stressful, BUT they save you so much money. If you live in the UK, I would suggest checking out Aldi or Lidl; I frequent both and save so much money on my weekly groceries, mainly on fruits and vegetables. They might not be the most convenient, but convenience doesn’t save you money. If you’re shopping in a regular supermarket, a great way to save money is to only buy the store’s own brand. It’s not always easy to find; often it’s hiding on the lower shelves to make room for the more expensive brands. In my experience, own-store brand food pretty much tastes the same as it’s popular brand version, but often for half the price. The packaging might not look pretty, but it’s what’s inside that counts. 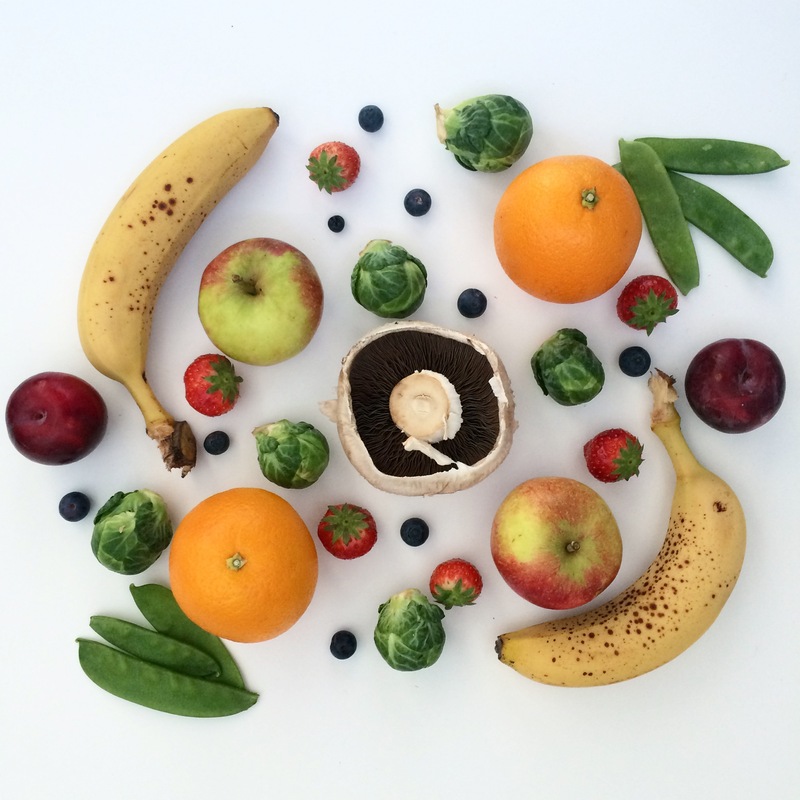 It took me a while to realise that frozen fruits and vegetables are a budget shoppers best friend. It might look more expensive upon first glance, but in the long run it gives you much more product for a smaller price. For example, in my local grocery store a bag of fresh spinach is around 90p, whilst a bag of frozen spinach is 1.50GBP. However, I would use up the fresh spinach in 3 meals, while the frozen spinach lasts me for at least 10. Plus, I don’t have to worry about the frozen spinach going off: it’s a win-win situation. 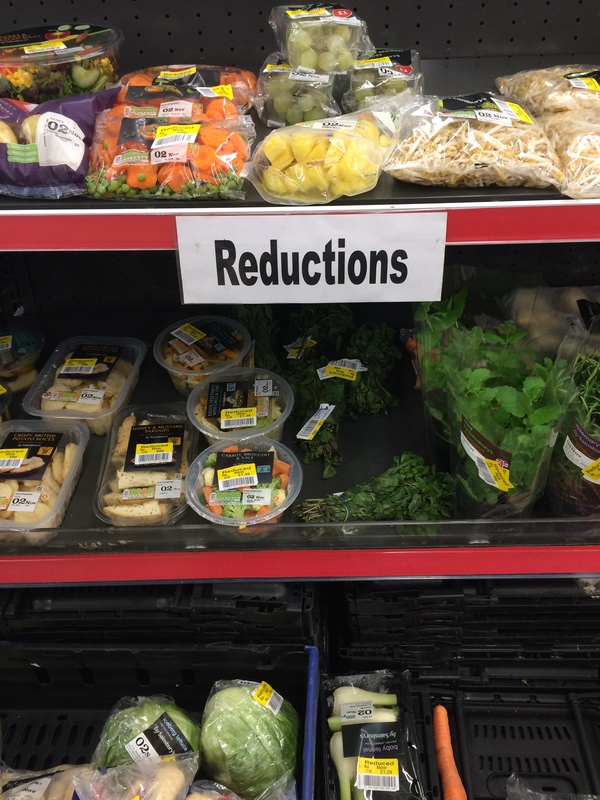 Whenever I go into any supermarket, I check the reduced section. It stores food that is about to go off; I know that doesn’t exactly sound appealing, but I promise you can find some great bargains. I found a tray of figs in this section a couple of weeks ago for 50p, they still tasted great and were a absolute bargain. Make it a habit to always check this section when you go food shopping; you never know what you might find. I’m sorry to say it, but in order to save money, you’re going to have to let certain products go. For example, I used to cook my oatmeal in soy milk. When I moved to London I soon realised that constantly buying soy milk for my oatmeal was costing me far too much, so I substituted it for water. It might not be as creamy, but it still tastes delicious, and it’s saving me money. If you’re really on a tight budget, some things are just going to have to go. Analyse you weekly food shop and think about things that could be replaced for cheaper alternative, or that you actually don’t need at all. That’s all for this post; do you have any other money saving tips when it comes to food? Let me know!